My family, 5G & the Government - Trump That! Having very recently moved to a small-holding in the beautiful Buckinghamshire countryside, my family and I found ourselves in the very unlikely position (considering the techies we all are) of having no internet. NO INTERNET. Life, for my 10 year-old son, was on pause. However, help was at hand in the form of a fantastic 4G connection. So Ocado deliveries continued, my wife caught up on Strictly via Sky Go, Autumn internationals were cheered, new Ikea furniture was purchased and Amazon Prime did not miss out on the Reid family shopping spree for our 9 yr old daughter’s birthday. All via a mobile phone. Phew. We were lucky though – 2 minutes down the lane and there is no mobile network for miles. So, for the country at large, I welcome the news that the Government has announced a substantial £400m investment for a new Digital Infrastructure Investment Fund. Home comforts aside, we all need to keep pushing our country's Government to help enable us to be the best connected country in the world - tip to toe! Government pledges faster broadband funds 22 November 2016 In Wednesday's Autumn Statement, Chancellor Philip Hammond will announce £400m ($500m) funding for a new Digital Infrastructure Investment Fund. Private investors will be asked to match the amount. 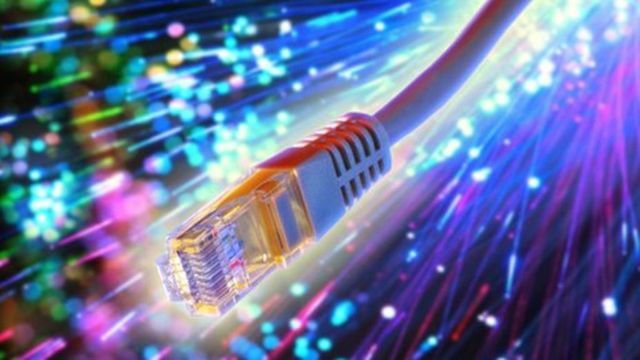 The money will be aimed at fibre broadband providers who are looking to expand. Mr Hammond will also commit £740m to the development of 5G and the further rollout of fibre connections. There is no launch date for the 5G service yet. The UK must move towards providing "fibre-to-the-property" broadband, rather than fibre to the roadside cabinet, the Chancellor will say. Currently only 2% of the UK has access to this "full-fibre" connection.